customers want to feel important and listened to. With increasing consumer expectations, businesses must focus on customer loyalty in order to stay ahead of competitors. Zenith Ideas therefore highlight three key areas businesses must pay special attention to. Zenith Ideas, an outsourced sales and marketing firm based in Dublin, Ireland have forecasted to increase their clients’ customer retention by 50 per cent in the coming six months. The company has therefore highlighted three key areas business owners must pay special attention to in order to keep themselves ahead of the competition. Those areas include the need for attention, appreciation and acceptance. 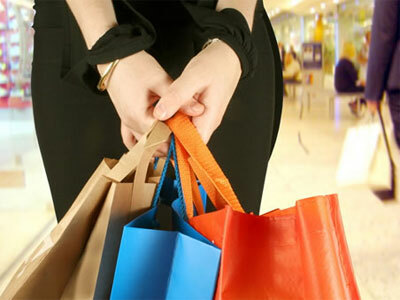 In the current economic climate, consumer expectations are increasing. “With more products and services on the market, consumers have more options available to them. Loyalty to specific brands is decreasing and customer expectations of quality of services continue to increase,” says Oliver Lane, Managing Director of Zenith Ideas. In order to stand out from others, Zenith Ideas insist that firms must give the customer attention and make them feel important. “You must make them feel as if they were the only customer of the day,” says Oliver Lane of Zenith Ideas. He insists that customers want to feel important and listened to. “Paying attention to what they have to say is the best you can do.” He adds: “With such feedback we can find out what the consumer really wants and what is great about a specific product or service and what may need improvement,” says Oliver Lane. Furthermore, businesses must show appreciation to their customers. “If you don’t thank them and acknowledge how excited you are that they come and do business with you, they might just go to one of your competitors,” says Oliver Lane. As a third key factor, Zenith Ideas state that businesses must accept every single customer. “It is crucial to accept both the ‘easy’ and the ‘difficult’ one. The more challenging customers are the ones who give the most relevant feedback on what needs to improve, and I sincerely believe that businesses should be grateful to receive such criticism rather than seeing the customer leave to a different brand straight away. This is a fantastic opportunity for service recovery, and once looked after they will be the most loyal customers,” says Oliver Lane. Zenith Ideas are a leading provider of outsourced sales and marketing in Ireland. The firm develops and executes interactive direct marketing campaigns. By meeting consumers in person and having face-to-face conversations, Zenith Ideas’ sales force creates a personalised customer experience. “We are there to explain the product or service, we are there to answer questions on the spot and we are there, directly with the customer, in order to listen to their feedback and thank them before we leave them,” explains Oliver Lane of Zenith Ideas. By applying their experience and ensuring that the customer’s needs are consistently met, Zenith Ideas increase their clients’ customer retention and are preparing to grow their organisation, first within Ireland and Great Britain, then within Europe and worldwide over the next five years.